It’s not uncommon for TV networks and pay-TV operators to get into very public spats about contract negotiations and looming blackouts, but the folks at Dish say that NBCUniversal crossed the line this week in going public about its ongoing contract dispute with the satellite company. 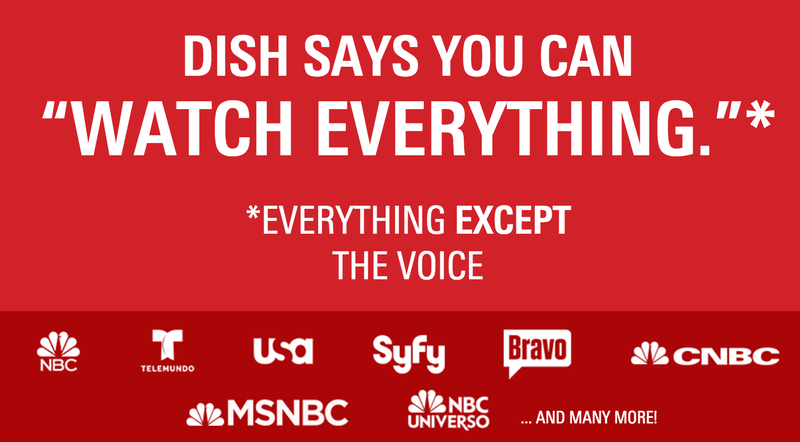 But as millions of Dish customers have seen in recent days, NBC has been anything but silent on the possible blackout of multiple channels — including NBC, Telemundo, USA, Syfy, Bravo, CNBC, and MSNBC. In a statement regarding the lawsuit, Dish also contends that, as a condition of the 2010 merger of Comcast and NBC, the network is blocked from blacking out its networks if a pay-TV provider chooses enter into binding arbitration, and Dish says it intends to exercise its right to do so. The NBC-owned channels would stay on Dish pending the outcome of that arbitration, according to the satellite service.